Bihar Chief Minister Nitish Kumar lent colour to a lotus sketched by an artist, creating a social media buzz on Sunday, with some seeing in it his “closeness” to the Bharatiya Janata Party (BJP). Nitish Kumar coloured the lotus sketched by artist Baua Devi at the inaugural function of Patna Book fair here on Saturday. It was widely seen by a section in social media as his growing closeness with friend-turned-foe BJP, whose party and election symbol is lotus. Also, thousands of people have shared the Janata Dal-United leader’s ‘lotus picture’ on social media, drawing comments. However, neither the Janata Dal-United (JD-U) nor its major alliance partner Rashtriya Janata Dal (RJD) of Lalu Prasad has reacted over it. In fact, leaders of the ruling JD-U and RJD seemed to have ignored it. “There is nothing unusual… Nitish Kumar used red colour to fill a sketch of lotus,” a senior JD-U leader said. 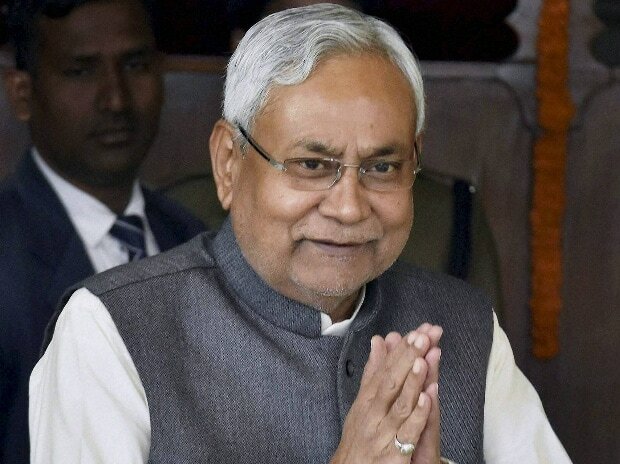 After colouring the lotus sketch, Nitish Kumar without naming the BJP targetted the opposition leaders for creating a bad image of the state for their own vested interests. “At a time when all are praising Bihar, they are defaming the state,” he said.